TANDAG CITY, May 16 (PIA) – As the school opening for school year 2014-2015 gets closer, the Department of Trade and Industry (DTI) has intensified the conduct of price monitoring of school supplies in Surigao del Sur, according to DTI Provincial Director Romel Oribe. He said that such move, which is an annual undertaking, is part of their routine to protect consumers against unscrupulous businessmen, especially this time around. Oribe bared that the Consumer Welfare Division headed by its chief, Manny Disca, is now in the central towns of the province. TANDAG CITY, May 16 (PIA) – Some 603 students who took up different skills training from the Technical Education and Skills and Development Authority (TESDA) in Surigao del Sur are set to receive their respective certificates of graduation on May 19. According to Allan Millan, Supervising Technical Education and Skills Development Specialist (TESDS), the joint mass graduation that is going to be held at the Provincial Social Hall near the Capitol Building at 2:00 p.m. will specifically be for the conferees of Technical Vocational Education Training (TVET) and Community Based Training Program (CBTP). It was learned that the bunch of graduates is a product of the joint undertakings by various Technical-Vocational (Tech-Voc) schools, benefactors, and other providers, hence the ceremony is expected to be graced by national and local officials who were directly involved in helping the honorees acquire the sought-after skills training. Based on the official program, the confirmation of graduates as well as the distribution of certificates will be done by TESDA Provincial Director Rey Cueva who will be joined in by Governor Johnny Pimentel, First District Congressman Philip Pichay, Vice-Governor Manuel Alameda, Sr., Tandag City Mayor Roxanne Pimentel, Army 401st Brigade Commander Col. Gregory Cayetano, 36th Infantry Battalion Commanding Officer Lt. Col. Anastacio Suaybaguio, Jr., and TESDA Caraga Regional Director Florencio Sunico, Jr.
CEBU CITY, May 16 (PIA) - The Department of Social Welfare and Development (DSWD) Caraga bagged two major awards during the national learning forum on Thematic and Environmental Management System (TEMS) held recently at the Elizabeth Hotel, this city. The Field Office got plaques for the Best Practice in TEMS application (community resiliency category) and People’s choice for miniature presentation awards. This event was graced by the regional directors and assistant regional directors of the department’s field offices. In attendance also were some of the regional staff of the KALAHI CIDSS- National Community Driven Development Program (KC-NCDDP) who attended the first TEMS forum which happened a year ago. The participants shared their learnings in the field and experiences in implementing sub-projects with the integration of the concepts and principles learned in TEMS. Each region prepared miniature presentations of how TEMS was employed in the implementation of Kalahi-CIDSS sub-projects. With the collaborative efforts of the Regional Program Management Office (RPMO) staff of KC-NCDDP in Caraga, especially the Engineering unit, the region was able to present a 3-d miniature replica of a community in the region that incorporated the TEMS. Led by Assistant Director for Operations Mita Lim of DSWD Caraga, the representatives of Caraga region were the following: Regional Infrastructure Specialist Engr. Macrino Sumagang, Regional Project Coordinator Elsa Montemor, Area Coordinators Gladys Agbu and Princesa Otacan, Engr. Esphar Lamela , and Community Facilitators Joilyn Dueñas and Hilda Betonio. Ednilyn Genite, a community volunteer from Kitacharo, Agusan del Norte, also joined the team. The significance of applying the concepts in TEMS with the ‘new normal’ condition of the country was emphasized by Assistant Secretary Camilo Gudmalin in his message. Other speakers during the activity were Dr. Filiberto Pollisco, Policy and Research Specialist of the ASEAN Center for Biodiversity Management and Director Vincent Hilomen of the Biodiversity Management Bureau of the DENR, who discussed about the status of the Philippines in terms of biodiversity and environmental condition. The received awards of the Field Office are the fruit of its efforts in implementing CDD projects which enable Poor communities to be resilient against climate change or in DSWD’s terms, the ‘new normal’. This national forum on TEMS presented the high importance of environmental protection and management in the Department’s implementation of the different CDD projects. BUTUAN CITY, May 16 (PIA) - All the five provinces in Caraga region have identified municipalities as recipients of the Kapit-Bisig Laban sa Kahirapan – Comprehensive Integrated Delivery of Social Service (KALAHI-CIDSS)-National Community Driven Development Program (NCDDP), an anti-poverty program of the Department of Social Welfare and Development (DSWD). These municipalities are namely, Buenavista, Jabonga, Kitcharao, Las Nieves, Remedios T. Romualdez, and Santiago of Agusan del Norte; San Francisco, Santa Josefa, and Veruela of Agusan del Sur; Alegria, Bacuag, Burgos, Claver, Dapa, Del Carmen, General Luna, Gigaquit, Mainit, Malimono, Pilar, Placer, San Benito, San Francisco, San Isidro, Santa Monica, Sison, Socorro, Tagana-An, and Tubod of Surigao del Norte; Barobo, Cagwait, Carmen, Carrascal, Cortes, Hinatuan, Lanuza, Lianga, Lingig and Marihatag of Surigao del Sur; and Basilisa, Cagdianao, Dinagat, Libjo, Loreto, San Jose, and Tubajon of the Province of Dinagat islands. Caraga region, with an allotted community budget amounting to Php 711,110,550 for 2014, is set to launch and implement KC-NCDDP by the start of the second semester this year. Regional Program Manager and Assistant Regional Director of DSWD Caraga Mita Gupana-Lim said that the Regional Program Management Office will convene with the governors, mayors and some municipal staff, in a forum for orientation and discussion about the nitty-gritty and the policies in implementing the KC-NCDDP. The schedules and venues of the LGU fora will be on: May 23, 2014 in Butuan City; May 26, 2014 in General Luna, Surigao del Norte; and May 28, 2014 in Surigao City. The KC-NCDDP is one of the three core poverty-alleviation programs of DSWD, alongside the Pantawid Pamilyang Pilipino Program and the Sustainable Livelihood Program. Also, it is one of the programs of the national government for Yolanda post-disaster recovery and rehabilitation, covering 554 municipalities in the country, from which 41 are in Caraga, that were affected by the super typhoon. It scales up the community driven development (CDD) strategy, which was used and proven effective by the Kapit-Bisig Laban sa Kahirapan- Comprehensive and Integrated Delivery of Social Services (Kalahi-CIDSS) in its past 11 years of implementation. CDD puts power back in the hands of the people by giving them the opportunity to make informed decisions on locally identified options for development and manage resources to implement sub-projects that address needs identified by communities themselves. TANDAG CITY, May 16 (PIA) – A python as big as a leg of an adult has caused the nine-hour power blackout in the central part of Surigao del Sur, according to Aguinaldo Jaluag, Information Officer of Surigao del Sur Electric Cooperative II (SURSECO II). He explained that crew from the National Grid Corporation of the Philippines (NGCP) along with their local field men had a hard time searching for what might be the cause of the permanent fault not until they spotted the large constricting non-venomous snake which was already dead at the conductor of the electric post somewhere in “Davisol,” a place in Lianga town, 90 kilometers south of this city. The power outage that affected nine service areas of the distribution utility including Tandag City was logged at 11:58 p.m. last night and restored at 9:25 a.m. today. TANDAG CITY, May 16 (PIA) – Both the Armed Forces of the Philippines (AFP) and the Philippine National Police (PNP) are set to join the Brigada Eskwela 2014 in Surigao del Sur. Army 401st Brigade Commander Col. Gregory Cayetano, for his part, said that he will have to mobilize all battalions under him to support the Department of Education (DepEd) in this annual endeavor in preparation for the opening of classes. Cayetano, whose area of responsibility (AOR) covers the provinces of Agusan del Sur and Surigao del Sur, heads three battalions, namely, the 75th Infantry Battalion (75IB), 36th Infantry Battalion (36IB), and the 2nd Scout Ranger Battalion (2SRB). Meanwhile, in a separate interview, Officer-In-Charge (OIC) Provincial Director P/SSupt. Narciso Verdadero likewise assured that the police force will be behind the said DepEd undertaking on May 19-24, adding that an order to this effect has already been out for the lower units to carry out. AGUSAN DEL SUR, Mayo 16 (PIA) - Nararanasan ng Pilipinas ang paglakas ng ekonomiya kahit hindi inaamendahan ang mga pang-ekonomiyang probisyon ng konstitusyon, sabi ni Presidential Spokesperson Edwin Lacierda noong Miyerkoles. Sagot ni Lacierda sa mga tanong ng mga reporter kung ano ang reaksiyon ng Malakanyang sa kilos ng Kongreso na palitan ang ibang probisyong pang-ekonomiya ng konstitusyon. “Ang kailangan nating gawin ay pagbutihin ang kapaligiran ng pamumuhunan at iyan ang ating ginagawa noon pa. Pinapantay natin ang larangan ng pakipagsapalaran. At ang nagawa nating mas mabuting klima sa pamumuhunan ay ang credit rating na ating natanggap,” sabi niya. Tinutukoy niya ang pinakabagong Standard & Poor’s (S&G) na pagtaas ng credit rating ng bansa, na itinaas ang kanyang pang-matagalang sinimulang credit rating hanggang “BBB” mula sa “BBB-“, at ang kanyang pangma-igsiang rating hanggang “A-2” mula “A-3.” Ito ang pinakamataas na credit rating ng Pilipinas na nakuha. MANILA, Mayo 16 (PIA) - Alam nyo ba na ang kalsyum, ay para sa pagbuo ng matibay na buto at ngipin? Ang gatas at mga produkto na gawa sa gatas tulad ng keso at yoghurt ay mayaman sa kalsyum. Pati na ang mga maliliit na isda, hipon, dilis at dulong. Ang kalsyum na galing sa mga hayop ay madaling gamitin ng ating katawan. Ang pang limang mensahe sa Nutritional Guidelines for Filipinos ay hinihikayat ang mga Pinoy na uminom ng gatas at kumain ng mga produktong galing sa gatas. Maiiwasan din ang osteoporosis sa pagtanda kapag araw-araw kumain nito. Ayon sa 2008 National Nutrition Survey, mataas ang kunsumo ng gatas at mga kauri nito sa mga batang may edad na 6-11 buwan at mababa naman ang kunsumo ng mga batang may lima hanggang sampung taong gulang . Kumain ng mga pagkaing sagana sa kalsyum mula pagkabata hanggang sa pagtanda para sa matibay na buto at ngipin. SURIGAO DEL SUR, Mayo 16 (PIA) - Ang Pilipinas nakasinati sa pagtubo sa ekonomiya, bisan pa sa walay pag-amendar sa Konstitusyon sa mga probisyon sa ekonomiya, sumala pa ni Presidential Spokesperson Edwin Lacierda niadtong Miyerkules. 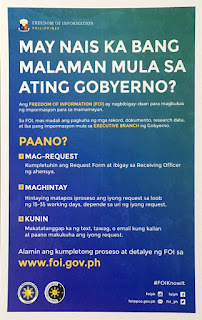 Si Lacierda mitubag lamang sa mga mamamahayag sa pagpangutana kaniya kabahin sa reaksyon sa Malakanyang kalabot sa lakang sa kongreso sa pag-usab sa pipila ka mga probisyon sa ekonomiya sa Konstitusyon. "Unsa ang atong gikinahanglan nga buhaton mao ang nga mas molambo ang kahimtang sa negosyo ug sa ingon mao na amoang ginabuhat. Gihimo namo sa patas nga mga pamaagi. Ug pamatuod nga kita mibuhat sa usa ka mas maayo nga temperature sa negosyo nga mao ang credit rating nga atoa ng nahatag, (What we need to do is to better the business environment and that is what we have been doing. We have been leveling the playing field. And proof that we have created a better business climate would be the credit rating we've been given),” si Lacierda miingon. Siya mitumbok sa Standard & Poor’s (S & P) sa bag-ohay pa nga pagsaka sa nasud sa credit rating, sa pagpadako sa iyang mga long-term sovereign credit rating sa "BBB" gikan sa "BBB-" ug sa short-term rating sa "A-2" gikan sa " A-3." 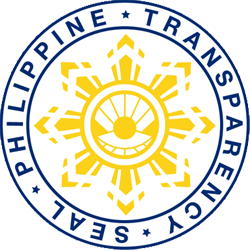 Kini mao ang labing taas nga credit rating sa Pilipinas nga nakab-ot. BUTUAN CITY, Mayo 16 (PIA) - Nagkahiusa ang mga representante sa Local Price Coordinating Council (LPCC) sa dakbayan aron sa pagpahigayon sa 2nd quarter Local Price Monitoring sa mga panaliton niadtong Mayo 8. Gilibot nila ang mga pribado ug publikong establisyemento ug merkado sa Langihan, Libertad, ug Ampayon aron mamonitor ug mabantayan ang pagsaka ug pagkunhod sa mga pang adlaw-adlaw nga panaliton, ug masikop ang mga tindahan nga ilegal nga nagpasaka sa mga presyo. BUTUAN CITY, Mayo 16 (PIA) - Subay sa mando sa gipirmahang Memorandum of Agreement tali LGU-Butuan, Department of Interior and Local Government (DILG) Region XIII ug Local Government Academy (LGA), gipahigayon ang Orientation-Workshop on Regulatory Simplification for Local Government Units (RS4LGUs) Project for Business Permitting and Licensing didto sa VJ’s Sports Bar and Ihaw-Ihaw, Mayo 8. Sumala ni Business Permits and Licensing Head Paul Cabrera, layon niini nga mapalig-on ang kapasidad sa Lokal nga Panggamhanan nga mamahimong business-friendly ug economically competitive pinaagi sa pagimplementar ug mga programa ug proyekto nga makapatukpaw sa potensyal niini sa ekonomiko ug negosyo. Kalabot na niini ang pagpaila ug pagimplementar ug mga reporma sa kasamtangang sistema sa pagproseso ug lisensya ug permit sa negosyo. Dugang niini nga gimugna usab ang duha ka grupo nga mao unya’y responsable sa pagpanguna sa pagimplementar sa maong proyekto. Kini ang Simplification Management Team (SMT) ug Simplification Project Team (SPT).